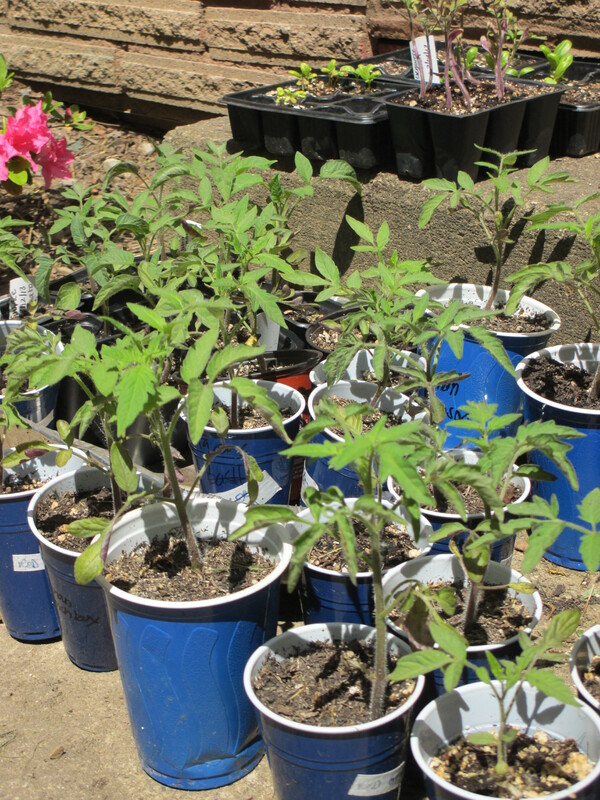 We still have a limited quantity of 10 varieties of tomato plants available. You won’t be able to buy these at any garden center! They’re GMO-free, and grown in organic soil with no chemicals. And only $3.00/plant. You can find complete descriptions of these plants, from my earlier post, by clicking here. We also have very limited quantity of basil, peppers and eggplant seedlings. We’ll be home planting most of the weekend, so send a message or call me at 216-903-2184 if you’re interested!